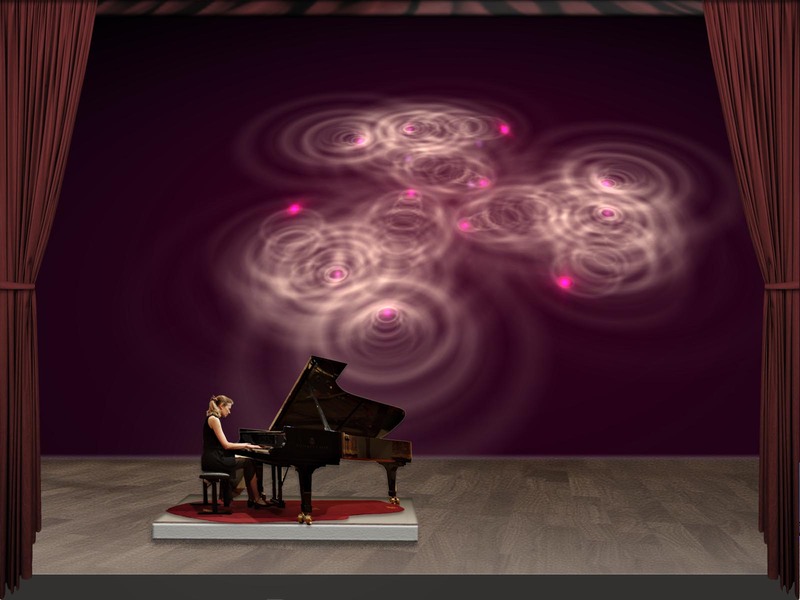 Piano Recitals with Light Design – creative combination of sound, color and light! 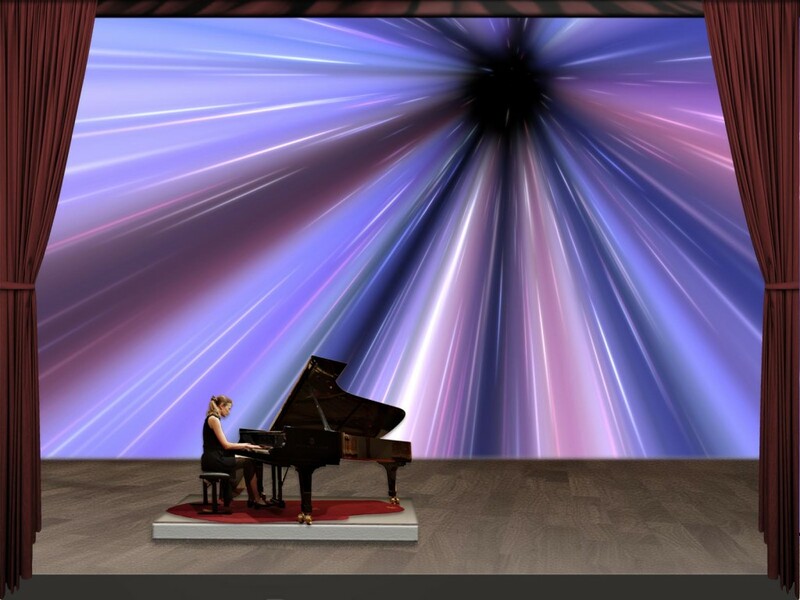 The abstract nature of music and the piano sound is suppored by light and color. 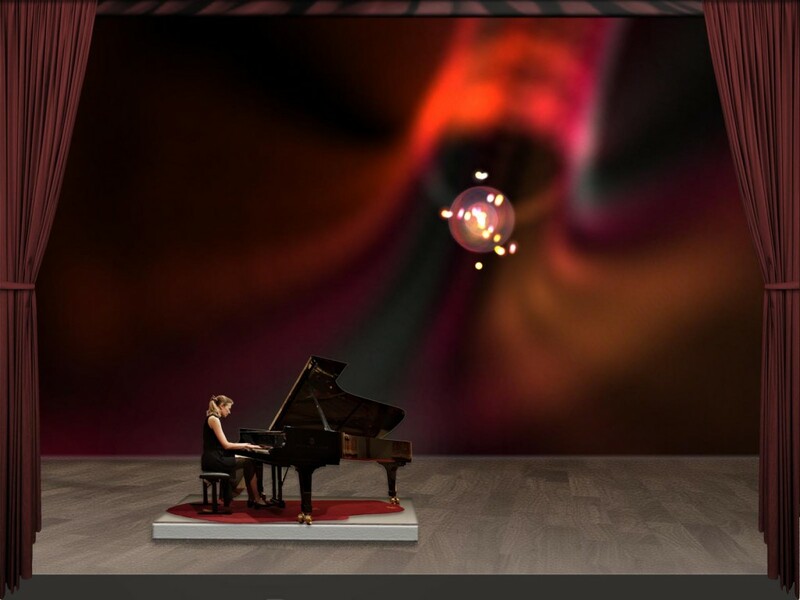 Rhythm and sound movements go well together with animations and video projections. 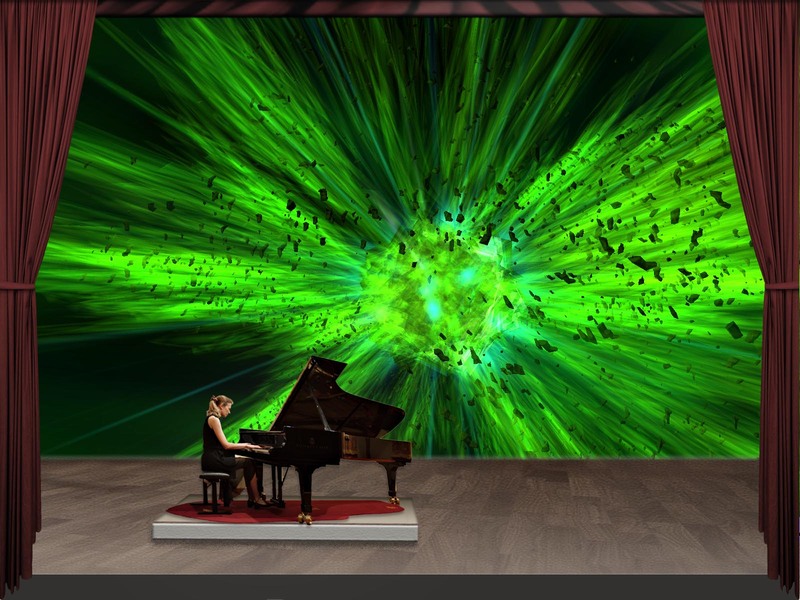 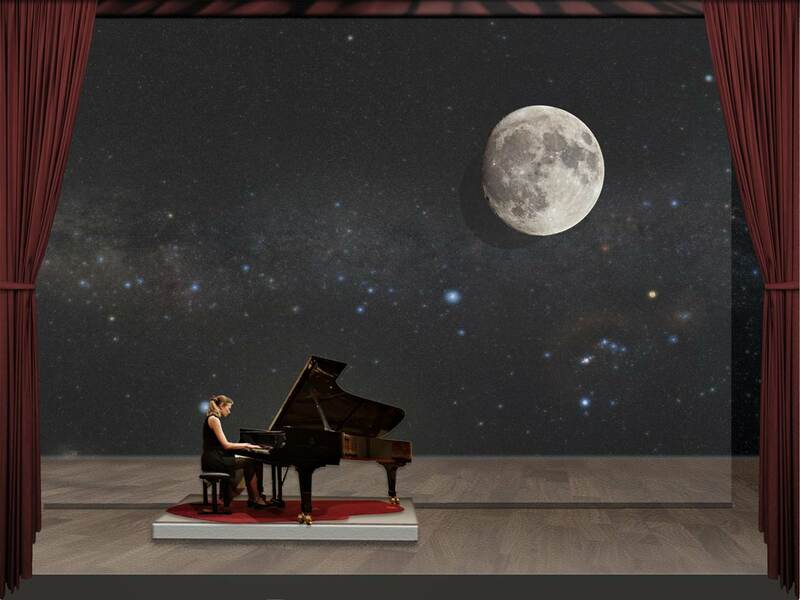 The origin of music is visualized through concrete (projections of the pianist) and abstract image sequences. The light is no additional effect, but complementation and refinement of the music – and unlike a music video it is not connected to its own statement, but makes a complete picture of the music piece. 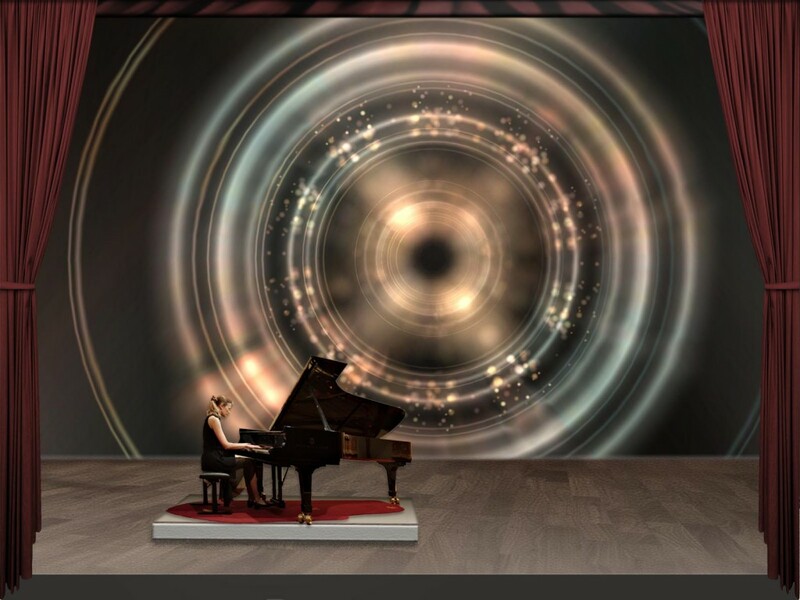 Along with the music the light contributes to the imagination of concert goers and makes the listening experience more complete.